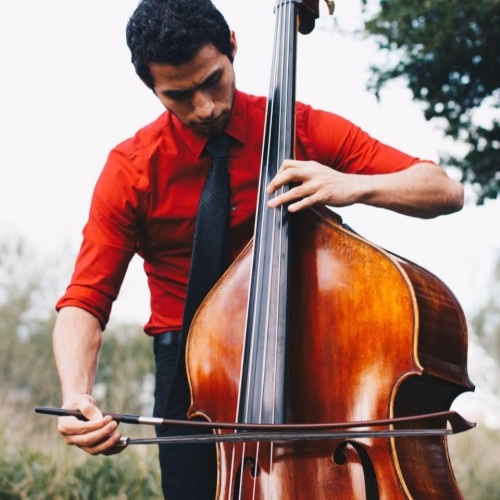 Iâ€™m Omar Estrella, and I graduated from The University of Texas-Pan American with Performance degree in double Bass. I began learning the Double Bass in 6th grade through my Orchestra teacher. I was extremely excited to learn, however, my mom could not afford private lessons. Through out my years in High school I did well in the regional competitions, which caught the attention of my professor Dr. George Amorim who took me as a student my senior year. During my time at the university, I won auditions with the Valley, Corpus, and Victoria symphonies. I sat principal of our school symphony and was the leader of the bass ensemble. I took advantage of as many festivals, masterclasses and symposiums through out my time there. I have taken lessons and had masterclasses with Franco Petracchi, Joel Quarrington, Lawrence Hurst, James Vandemark, Jeff Bradetich, Brian Perry and Robin Kessleman. I also helped create and was the president of the Bass club at the university. I am now an orchestra director at ECISD. Although I enjoy school teaching, I plan to continue my studies and hopefully become a Double Bass professor.